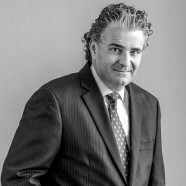 CLAUDIO RIEDI is a founding shareholder of LSRCF. Mr. Riedi focuses his practice on commercial litigation, administrative proceedings, international transactions and litigation, and appellate law. Represented Native American Indian tribe in extensive environmental and business litigation and gaming regulatory and compliance matters. Represented municipalities in land use litigation and utilities related litigation. Represented commercial clients in complex commercial litigation matters. Appellate experience at state and federal intermediate appellate and supreme courts. Represented various German-speaking clients in complex business and real estate transactions in Florida and in international litigation matters. South Florida Water Management District v. Miccosukee Tribe of Indians, 541 U.S. 95 (2004) (interpreting whether pumping polluted water against natural flow into the Tribal Everglades constitutes an addition of a pollutant to waters of the United States under the Federal Clean Water Act). Miccosukee Tribe of Indians of Florida v. United States, 619 F.3d 1286 (11th Cir. 2010) (challenging use of Everglades National Park land for highway bridge without adequate review under the Department of Transportation Act). United States v. South Florida Water Management District, 2011 WL 1099865 (S.D.Fla. 2011) (Indian Tribe’s challenge to water management district’s abandonment of construction of Everglades water storage reservoir after partial construction). Miccosukee Tribe of Indians v. South Florida Water Management District, 2007 WL 7377465 (S.D.Fla. 2007) (challenging indefinite stay of case after issuance of mandate by U.S. Supreme Court). Miccosukee Tribe of Indians of Florida v. United States, 680 F.Supp.2d 1308 (S.D.Fla. 2010) (Tribe’s challenge of flooding of tribal land under equal protection law). Palm Beach Polo, Inc. v. Village of Wellington, 918 So.2d 988 (Fla. 4th DCA 2006) (Enforcement on behalf of municipality of PUD provisions requiring restoration of old growth cypress forest within planned unit development). German American Alliance, Miami, Director.